From left to right: Frank Clement, Brian Meeley, Marjorie Rochon, Jackie Carpenter, Christina Walrond, Phoebe Nkaabu and Sarah Dirndorfer. Photo by Theresa Widger. PCG had the immense honor of hosting Phoebe Nkaabu, an IAEA Fellow from Nairobi, Kenya, during her two week visit to the United States. Phoebe works for the Kenya Nuclear Electricity Board’s communications team and develops messaging and outreach in preparation for Kenya’s new nuclear energy program, anticipated to go online in 2022. Phoebe and her team experience many of the same challenges our clients face in teaching the public about the benefits and safety of nuclear energy. 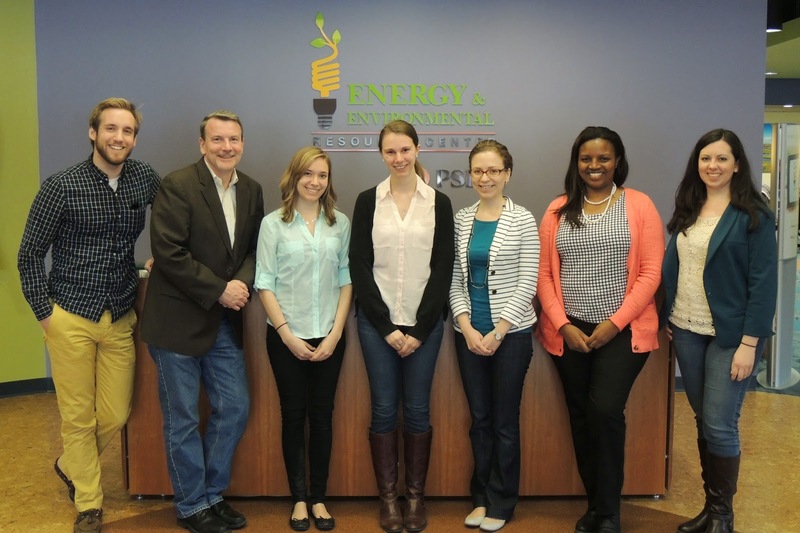 We wanted to help Phoebe find some inspiration, so Vice President Brian Meeley arranged a trip to the Energy & Environmental Resource Center (EERC) in Salem, New Jersey. EERC is an initiative of the Public Service Enterprise Group (PSEG) to educate community members about energy. It sits about ten miles from the Salem Nuclear Generating Station on the Delaware River and features museum-worthy exhibits explaining energy generation, usage and safety. Many of the exhibits were furnished by the Nuclear Energy Institute and give children and adults hands-on experience with simulated reactor cores, radioactive waste storage systems and utility distribution controls. PSEG uses the EERC to function as a deeply involved community member. School children visit regularly, boy scouts frequently come to earn their Nuclear Science merit badge, and PSEG even invites nearby organizations to use the center’s large meeting space free of charge. Our visitors’ center trip was just one part of the two weeks we had with Phoebe to share experiences about effective communication. We are thrilled to have learned more about the Kenya Nuclear Electricity Board and look forward to hearing about the country’s continued exploration of nuclear energy options for their future.